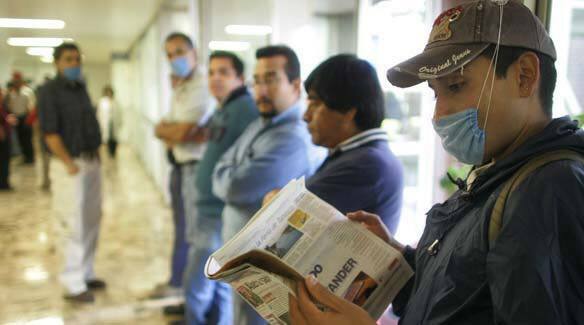 Pasadena, CA — News stories reporting the outbreak and spread of swine flu in Mexico and the U.S. are breaking out like, well, a virus. The public is being “warned” and put “on alert” about what some feel may become a pandemic. The literal meaning of “pandemic,” from its original Greek, is all people. However, the alarm is more significant for what it overlooks and omits. The news reports leave you knowing little about whether you have the swine flu, but believing that you may have it enough to take the only solution that they guide you to, an antiviral drug called Fluzone®. The contagion associated with influenza, no matter what it’s called, is due to two things: (1) an already compromised immune system by some people, and (2) sufficient belief by others who may, but most likely will not have the same thing. Yet, if they believe it enough to take the drug, then their chances of getting the real thing is actually increased, in large part because of their gross receptivity to the idea of having swine flu. With a population of almost 110 million people, 100 deaths due to flu-like symptoms are most likely happening all the time. Why is it that this situation different? Why is it deemed appropriate to but a neighboring country (the U.S.) on alert? Then, they don’t tell you other methods of addressing the condition. A body that is in balance, or homeostasis, will not be affected by flu, swine or otherwise. They don’t let the people they’ve alarmed know this. They don’t give us information on how to restore balance. Yet, Fluzone will not restore balance. Indeed, many of the side-effects of Fluzone are… well, flu like. Fluzone takes a body that is out of balance further out of balance. The only way to get back into balance by going further out, is via death.